Home to some 540 species of birdlife and many other animals including monkeys and reptiles, you don’t have to venture far to witness some incredible wildlife when holidaying in The Gambia. Although small, this vibrant West African country is teeming with a wonderful selection of wildlife, and you may be surprised at just how easy many animals are to come by. In this article, we’ll share some of the best places to go to see the country’s variety of animal inhabitants. 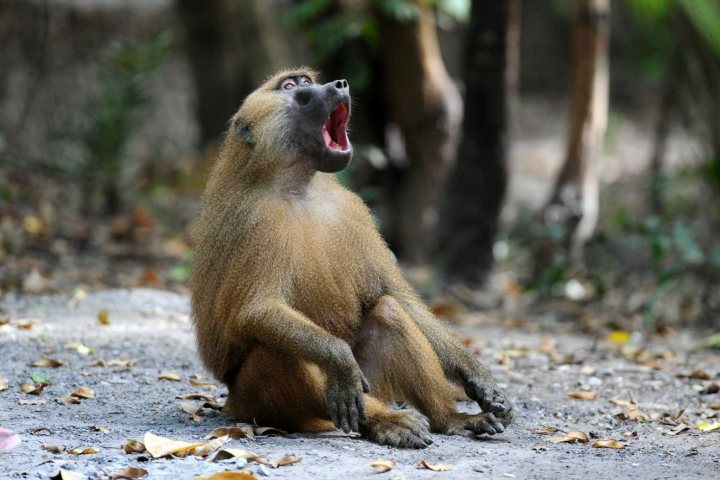 One of the best places to witness a whole host of Gambian wildlife all in one place, the Makasutu Forest is home to many species of birds, along with troops of baboons, monitor lizards, and more. 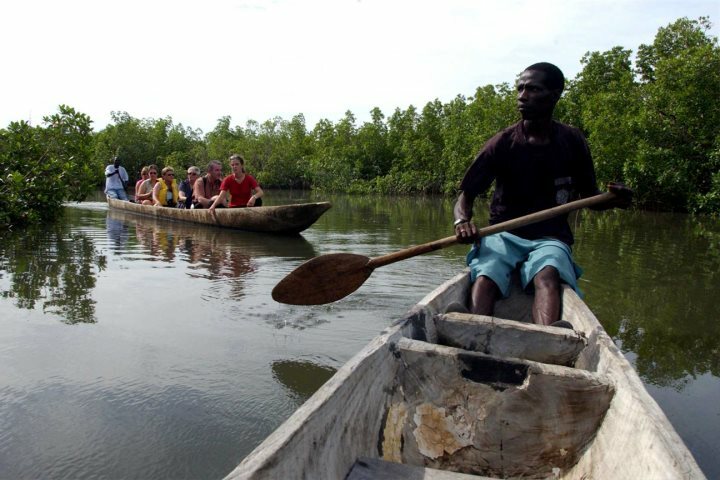 You can also embark on a pirogue ride along the creeks which is a wonderful way to absorb the special atmosphere here, whilst keeping an eye out for wildlife. 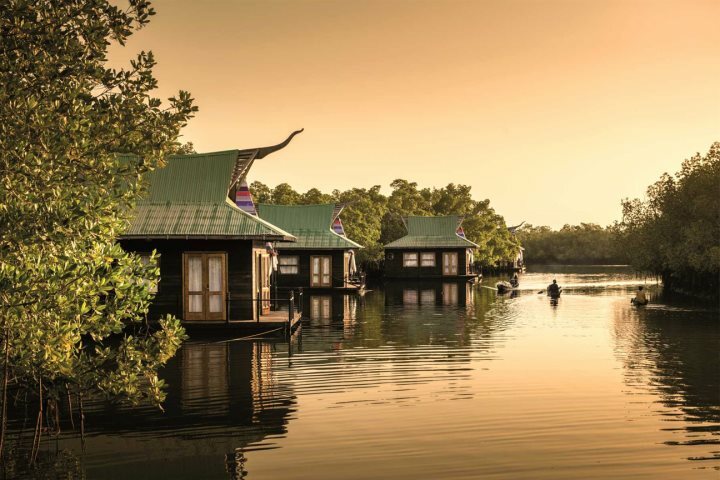 This eclectic forest is also home to Mandina Lodges, which you can find out more about here. Simply take a stroll around the grounds of these hotels and you’re sure to come across some fascinating wildlife. Bakotu is a favourite of BBC presenter Chris Packham, as the hotel has a superb viewing platform at the back where you can watch the variety of birds around Kotu stream. 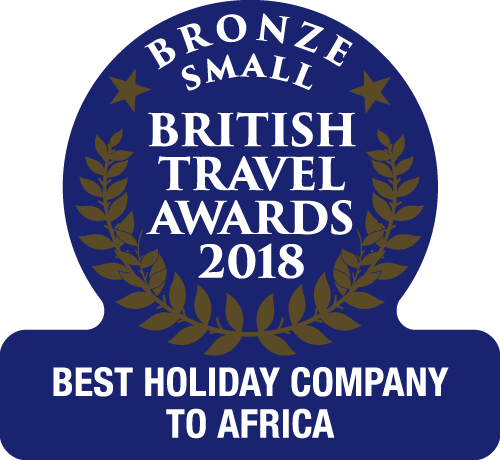 Senegambia Hotel is home to monitor lizards as well as little green vervet monkeys and red colobus monkeys, who play in the hotel’s tropical gardens. 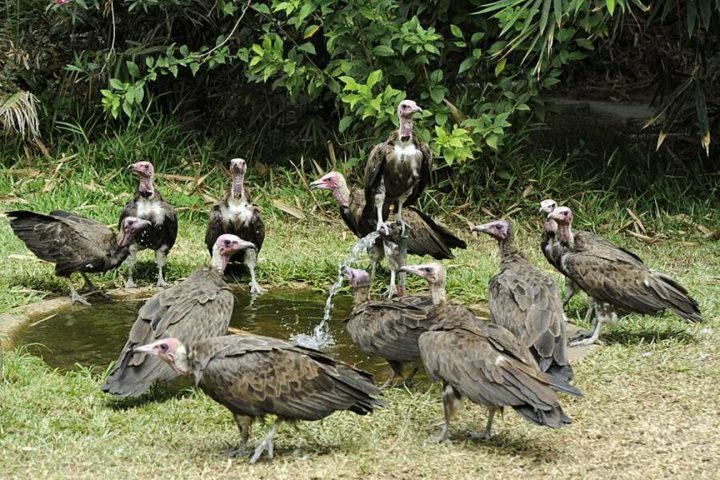 You can also watch the vulture feeding at Senegambia, which attracts other kinds of birds too. 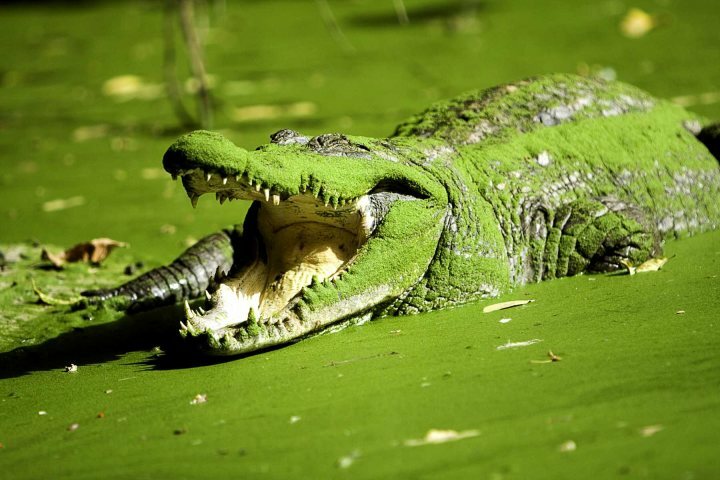 For an even more unique experience, why not pay a visit to the crocodile pool, located in Bakau? Home to close to 100 crocs of varying shapes and sizes, you can get lots of photographs of the animals basking in the sunshine, or cooling off in the water. 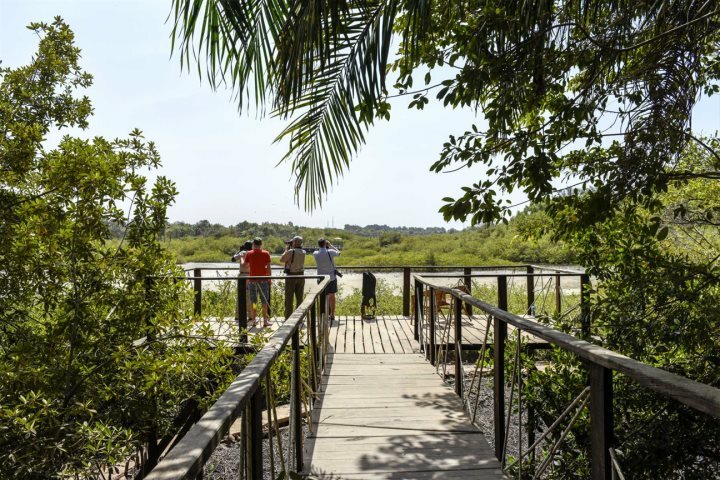 If you want to travel a little further to see even more of what this small African country has to offer, there’s also the Abuko Nature Reserve, The Chimpanzee Rehabilitation Project which you’ll find further inland in the River Gambia National Park (for overnight stays), and Fathala Wildlife Reserve located just across the border in Senegal.